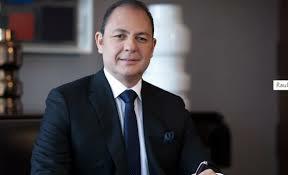 Venezuelan TV magnate indicted in Miami for high level bribery and money laundering Raul Gorrin, the owner of Globovision, is accused of paying $160 million to top Venezuelan government officials in return for allowing him to operate a corrupt foreign currency scheme. 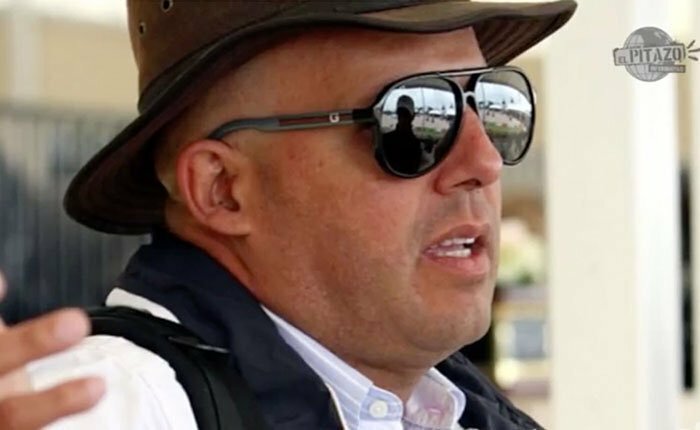 Prosecutors in South Florida unsealed a major corruption and money laundering indictment on Monday against Raul Gorrin the owner of a Venezuelan TV network with close ties to President Nicolás Maduro and his predecessor Hugo Chávez. Between 2008 and 2013, Gorrin used a company in Panama to pay $160 million in bribes to several unnamed senior government officials, including two high level Treasury Ministry officials, in order to protect a corrupt foreign currency scheme that netted hundreds of millions of dollars, according to the indictment. The purpose of the conspiracy was “to enrich Raul Gorrin Belisario and co-conspirators by making and concealing corrupt payments to foreign officials in Venezuela in order to obtain and retain contracts with the Office of the National Treasury in that country,” the indictment alleges. Discussions to arrange the bribes were held in South Florida and some of the payments were made from accounts in Switzerland to banks in the South Florida and New York, it adds, making the payments a crime under the US Foreign Corrupt Practices Act. Gorrin, who is co-owner of the pro-government Venezuelan TV network Globovision, allegedly used the money to buy three jets, a yacht, multiple champion horses, and numerous high-end watches in the South Florida and South Texas, also intended as bribes and paid with wire transfers from Swiss bank accounts. The conspiracy involved Gorrin’s personal bank account at HSBC as well as a bank in the Dominican Republic. Other payments included purchase of a $1 million home security system in Caracas, home improvements and veterinary services including the transportation of horses in Wellington, Florida, a wealthy community in Palm Beach County known for its horse farms. 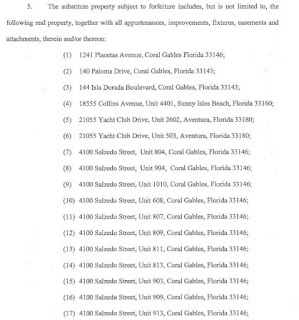 The indictment includes a list of 24 seized properties in South Florida and New York. The U.S. government has for years targeted political corruption and dictatorial rule in Venezuela since for years, imposing sanctions on numerous top officials. Corruption took off after Chávez took power in 1999 and ushered in a new socialist era. Chávez died in 2013 from cancer, aged 58, and was replaced by his ardent disciple, Maduro. Rich in oil, Venezuela is nonetheless submerged in its worst economic crisis in history, with hyperinflation and shortages of basic medicines causing a mass exodus of migrants to neighboring countries. U.S. prosectors have likely missed their opportunity to arrest Gorrin, who owns a mansion in the wealthy Cocoplum neighborhood of Miami where he also keeps a yacht. But he has not been seen in Miami for several months. Active on social media, his recent posts indicate he has resided in Caracas for the last few months. attending his company events and working out at a gym. Gorrín’s Cocoplum estate is on the market for $8 million. He also owns a plush Manhattan apartment worth close to $20 million and, according to court records. The Gorrin indictment appears to put an end to a series of laundering scheme in recent years that had turned south Florida into a popular playground for wealthy businessmen with ties to the Venezuelan government - known as "boliburgues," (short for Boli-bourgeoisie, a reference to Venezuela's socialist 'Bolivarian revolution,' named after independence leader, Simón Bolívar). For years prosecutors were frustrated by concerns that the massive evidence of Venezuelan bribery and corruption was beyond the jurisdiction of U.S. courts. Their chief legal weapon, the Foreign Corrupt Practices Act, does not apply to foreign nationals unless they can be tied to U.S. entities for bribery crimes that take place outside of the United States. Many of the alleged money laundering activities involved meetings with alleged conspirators in Miami, as well as investments in Florida real estate and other assets. “They got too cocky. They were doing deals in Miami despite the risk of falling foul of US law. It was the height of arrogance. They got away with it for so long that they thought they were untouchable,” the lawyer said. 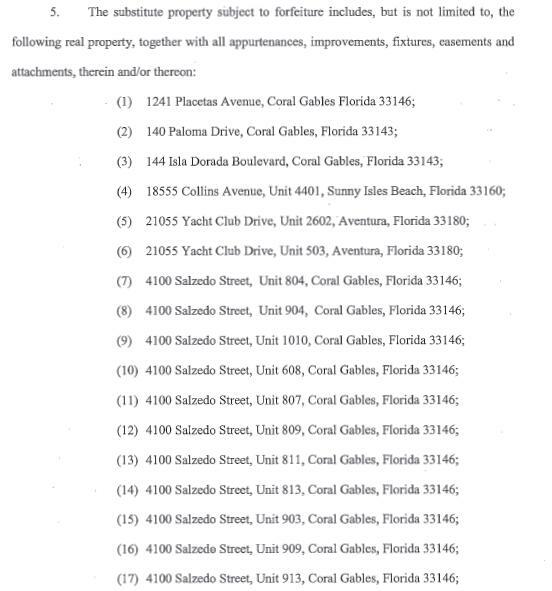 The indictment of Gorrin and the three other officials comes on the heels of another major indictment of Venezuelans accused in July of laundering $1.2 billion of embezzled public money through Florida real estate. That case involved a senior executive at a Swiss bank in Panama, Matthias Krull, who pleaded guilty to his role in a laundering scheme involving the state-owned oil company PdVSA, on behalf of president Maduro and his three stepsons. Gorrin was also accused in the laundering scheme, though he was not directly named in court documents. His lawyer at the time, Howard Srebnick, denied his client was involved in any wrongdoing. Srebnick did not immediately respond to a request for comment on Monday. That case, dubbed Operation Money Flight, lifted the lid on decades of mind-boggling public corruption by senior officials in Venezuela's socialist government. The former finance chief of Venezuela’s state oil company pleaded guilty last month to participating in the embezzlement scheme. Appearing in a Miami federal court, Abraham Ortega promised to fully cooperate with prosecutors, making him the highest-ranking Venezuelan official ever to do so. The two unnamed officials in the Gorrin indictment are identified only as 'Foreign Official 1' and 'Foreign Official 2', who both held high level posts "with decision-making authority and influence within the ONT; the Venezuelan National Treasury." Foreign Official 1 is described as holding that position between 2007 and 2010, and Foreign Official 2 between 2011 and 2013. Foreign Official 1 is widely assumed to be Alejandro Andrade, 54, a former a bodyguard to Chávez who rose to become one of the most trusted members of his inner circle and head the ONT between 2007 and 2010. After leaving public office he moved to Florida where he owns a large home and horse stables in Palm Beach County. His lawyer did not return messages seeking comment. The description of Foreign Official 2 matches Andrade’s successor as National Treasurer, Claudia Díaz. A former military nurse who took care of Chávez as he battled cancer, she is currently under house arrest in Spain facing extradition to Venezuela on public corruption charges. Venezuela has also requested the extradition of her husband, Adrián Velásquez Figueroa, a former head of the presidential security guard. Andrade has long been the focus of speculation about his wealth after he moved to Florida when he left public office in 2010. He lives in Wellington, a wealthy community in Florida horse country west of Palm Beach, in a 9,000-square-foot house with five bedrooms, set in six acres with a large barn for 60 horses. Andrade is well known in the horse community in Wellington, and his son Emanuel Andrade “is one the hottest young talents in the sport of show jumping,” according to the public relations firm, Starting Gate Communications. Andrade is also a partner in a South Carolina farm that raises show horses and sponsors equestrian competitions.